Prior to Ms. Emmi Okada’s presentation, the moderator, Professor Kei Kurosawa, made a few introductory remarks concerning how religion has had an impact on various conflicts by referring to examples such as the Philippine and Sri Lanka. 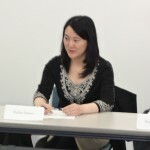 Ms Okada began her presentation by explaining the bias against religion, exemplified by the media’s tendency to focus on the violence rather than the peace work of religious actors. She pointed out that the conflicts that caused the greatest number of deaths in the twentieth century have in fact been motivated by secular ideology: the nationalism of world war one and two, fascism, Nazism, Communism under Stalin and Mao, and the ideology that motivated the massacres in Cambodia and Rwanda; and yet, religious violence has somehow received disproportionate attention. 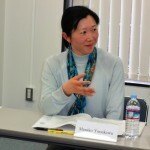 At the same time, she noted that in the post-cold war world, identity politics has assumed a greater place in conflict dynamics, and religion is a salient factor of identity politics. 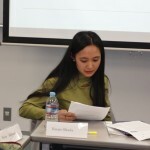 Ms. Okada then introduced the concept of “the ambivalences of religion” referring to the work of Appleby, which claims that religion can be a force both for peace and violence. Religion is also ambivalent in the sense that among their greatest advocates of nonviolence (such as Gandhi and Desmond Tutu) there is an ambivalent attitude towards violence (for example, Gandhi maintained that violence is better than cowardice). According to Appleby, the different between the religious “extremist” and “peacemaker” is not the whether violence is used per se, but rather, in their attitude towards the “other”: the peacemaker is primarily committed to the cessation of violence and the resolution of conflict, while, the extremist is committed primarily to victory over the enemy through the use of violence and other means. 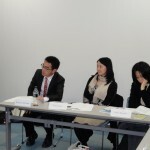 Ms. Okada also explained the definitions of the terms “peacemaking” and “peacebuilding” by referring to the “Agenda for Peace” (1992), “Brahimi Report” (2000), as well as the “UN Secretary-General’s Policy Committee” statement (2007) and the academic work of Corward and Smith (2004), which understands “religious peace-building” more broadly than UN definitions. 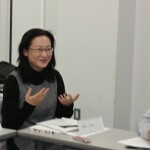 After speaking of her fieldwork experiences with the Tibetan exile community and Asian Muslim Action Network (AMAN), Ms. Okada concluded her presentation by giving an overview of the potential roles of religion in peacebuilding. 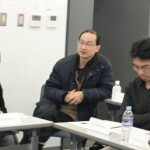 After her presentation, a lively discussion ensued which included incisive comments and questions from academic and other participants, such as Dr. Kei Kurosawa, Professor at Kyoritsu University; Ms. Fujiko Amano; Dr. Daisaku Higashi, Associate Professor at Tokyo University; and Professor Daizo Sakurai at Gakushuin Women’s College. 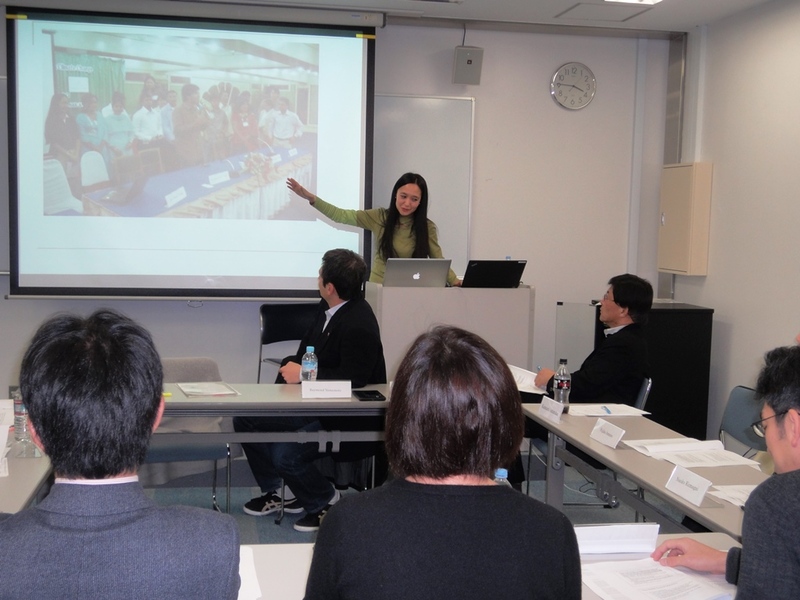 It is hoped that the various perspectives heard during the discussion will helpfully inform the ideas explored in Ms. Okada’s doctoral thesis. 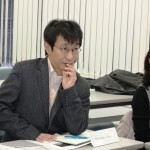 The session was hosted by Prof. Masako Yonekawa from Rikkyo University. 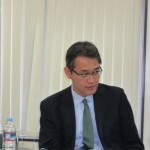 Mr. Yamamoto argues that Japan’s foreign policy changed remarkably in the last two decades, when new strategies related to the country’s security became apparent. It could be observed that the exercise of the hard power became central in contrast to the comprehensive security strategy since the 1970s, which mirrored the concept of the soft power. Specifically, Japan has been strengthening the military capabilities of neighboring countries in Southeast Asia through law enforcement measures and patrol boat funding (patrol boats are, in fact, defined as weapons by the METI). This research is based on a comprehensive method. One argument is that, Japan needs to contribute more to the security alliance with the United States, in order to align itself with increasingly assertive China. The alliance with the States has been the main pillar of the Japanese security since the end of the World War II. Despite the fact that the explanation from the realistic point of view is powerful, the argument based on the new security environment after the Cold War is not the only explanation for Japan’s stronger engagement in security matters. Equally important are the fundamental changes made in the election, as well as the structural reforms in the 1990s. The third argument is that the need for the country’s securitization was increased by the disturbing events such as Hanshin Earthquake and North Korean Taepodong missile test. Several surveys on public opinion are underlining this argument. The conclusion is that all three explanations are in line with the proactive pacifism even though some scholars argue differently. The presentation was followed by many comments and questions from the audience, which provided a broader perspective on the matter. 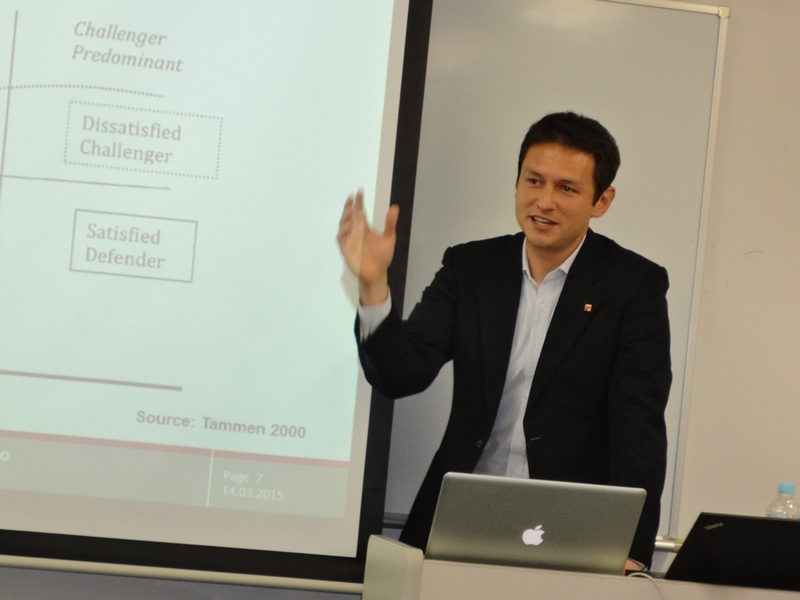 Participants contributed to his future research with their perspective. 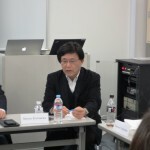 Among them were precious comments regarding economic factors, peacekeeping operations in the context of the Constitution’s Article 9, and origin of presentation’s “securitization” viewpoint received from Prof. Masako Yonekawa (Rikkyo University), Prof. Katsumi Ishizuka (Kyoei University), and Ms. Eiko Iwata (National Institute for Defense Studies).